Melbourne’s Rebels finished their equal best ever Super Rugby season with a 28-31 victory over the Queensland Reds at Suncorp Stadium in Brisbane. The Rebels victory is their seventh this season from 15 matches which is the same as last year but they will have bragging rights over the Reds and the Force who they have finished above in both of the last two seasons. The Reds won the Super Rugby title in 2011 but five years later have slumped to a record of winning just three matches from 15 played. 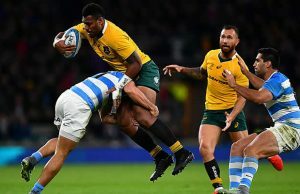 The Reds and the Rebels both scored four tries each and the difference came down to a single penalty kick by Rebels flyhalf Jack Debreczeni. The Reds finished within 7 points so they take a losing bonus point and could finish the season in 15th place above the Force who are currently in 16th place. The match was the last in Super Rugby for a number of Reds players including Greg Holmes, Liam Gill, Saia Fainga’a and Ben Daley who are all off to play other teams. The Rebels showed from the start that they would be party spoilers by scoring the opening try in the second minute. 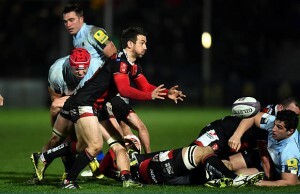 They went on to lead 24-7 at half time but then let the Reds back into the match. The home side scored three converted tries in the second half and were pressing for a fourth in extra time. “I’m really happy to win tonight, it’s great to finish the season off with a win,” Rebels captain Nic Stirzaker said. With neither team having any chance of reaching the play-offs, the match almost had the feel of an exhibition game as both sides went on the attack from the outset. The Rebels opened the scoring in only the second minute when outstanding flanker Sean McMahon broke the line and gave winger Tom English a clear run to the line. Flyhalf Jack Debreczeni converted the try then kicked a penalty 10 minutes later to give the visitors a 10-0 lead. The Reds opened their account with a Nick Frisby try, but McMahon then scored two of his own to give the Rebels a comfortable lead at halftime. Queensland were much better after the break and closed to within three points when first Gill and then Samu Kerevi took advantage of a wealth of possession and territory. But almost from the kick-off after Kerevi’s try, Rebels skipper Stirzaker charged down Duncan Paia’aua’s attempted clearance and regathered to give the Rebels a 10-point buffer with 23 minutes to go. 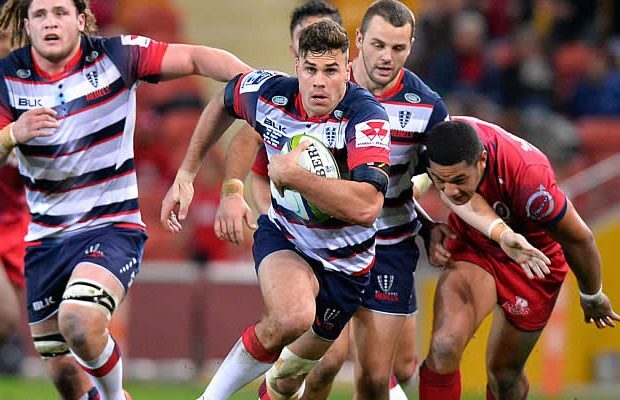 The Reds weren’t finished and hit back with a second try to Gill, however, the Rebels held on to win their seventh match of the season, a record for the Melbourne-based club. “We gave them too much of a headstart and just couldn’t chase them down,” Gill said. Both teams have been eliminated from the Super Rugby play offs so their next Super Rugby matches will be in 2017.